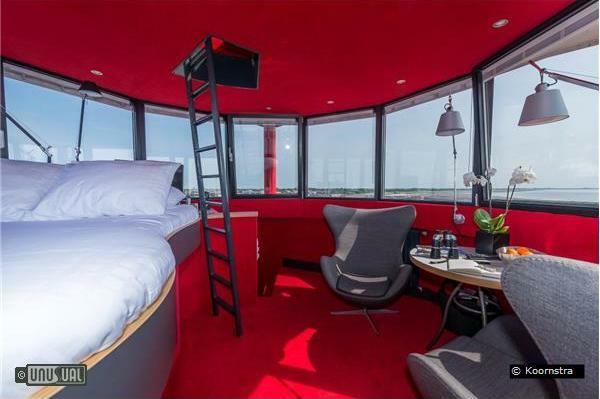 Sister property to Dockside Crane hotel, Harlingen lighthouse is not difficult to find – it is situated in the heart of the historic docks, rising above the dwellings around it. 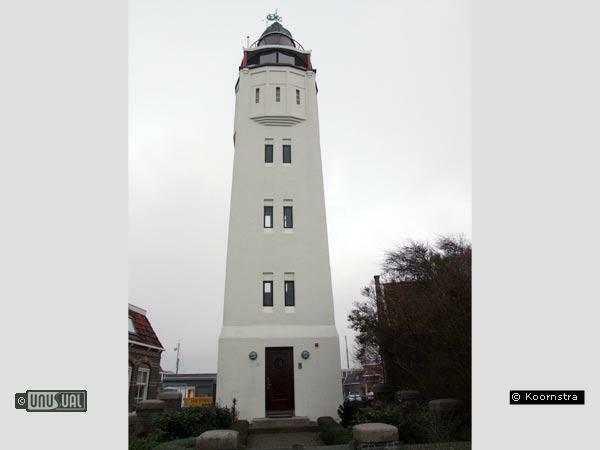 Look for an Art-Deco designed beacon standing above the surrounding houses. Unlike many lighthouses it has no need to be remote, as it protected navigation from the sandbanks around the port itself. "In February 1998, I extinguished the light. The lighthouse lost its function after 75 years because of changes to the channels and alterations to the harbour entrance. But there has been a light shining at this spot for much longer. From the middle of the 18th century, fires crackled, acetylene gas lights hissed and the lighthouse light system, now at the bottom of the stairwell, twinkled because the many lighthouses Harlingen had were always rebuilt on the same spot. 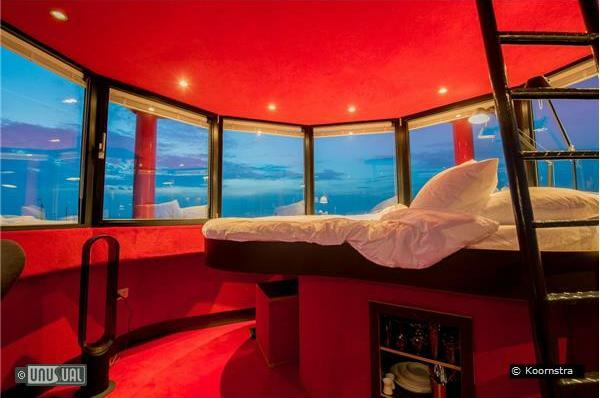 For centuries, sailors' eyes were fixed on this spot. Now the roles have been wonderfully reversed: the beacon has become a lookout point." 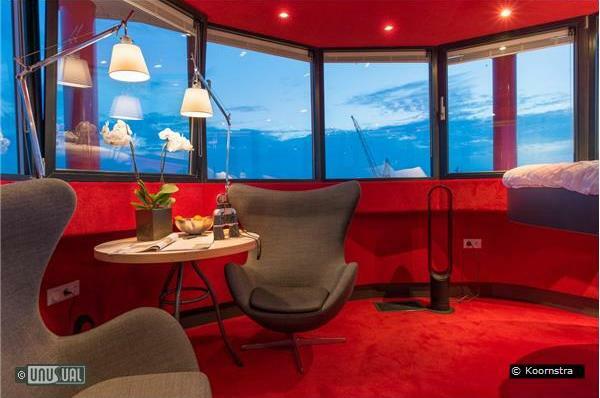 The Lighthouse is available from 16.00 hours on the day of arrival until 12.00 hours on the day of departure. 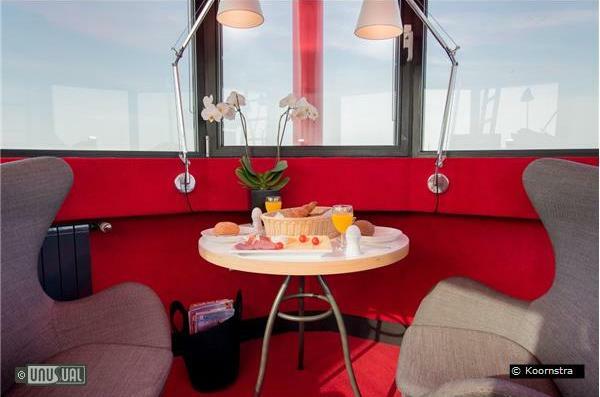 A fantastic breakfast is included, delivered to the bottom of the Lighthouse steps. 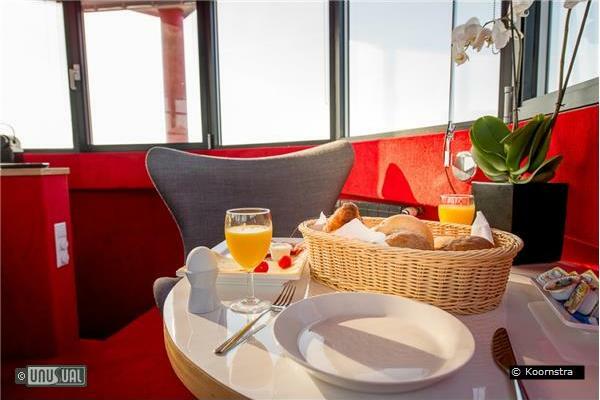 The lighthouse is a favourite for honeymoon couples and booked well in advance. Be flexible on your dates – or plan well ahead! 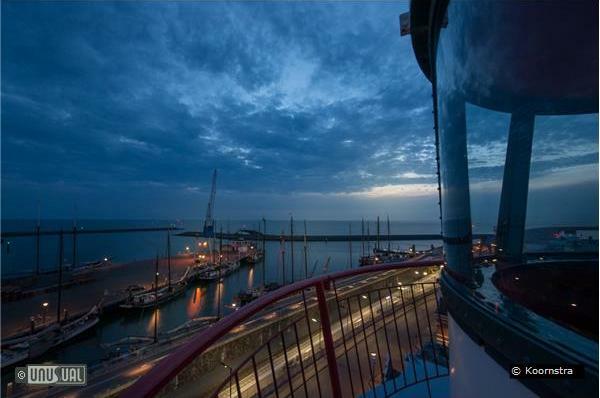 The lighthouse is next to the Harlingen Dokkade (Docks) station, close to the city centre of Harlingen, only 10 minutes walk from the shops and restaurants of this thriving Dutch seaside town. Harlingen is a working dockside town, but you’re in the quiet historic port, next to the harbour master office and historic square rigger boats. 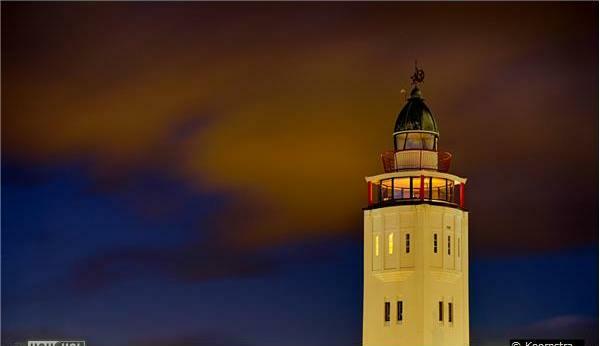 Harlingen Lighthouse forms part of a network of lights along the Dutch coast. Eighteen of the twenty lighthouses are still in use. 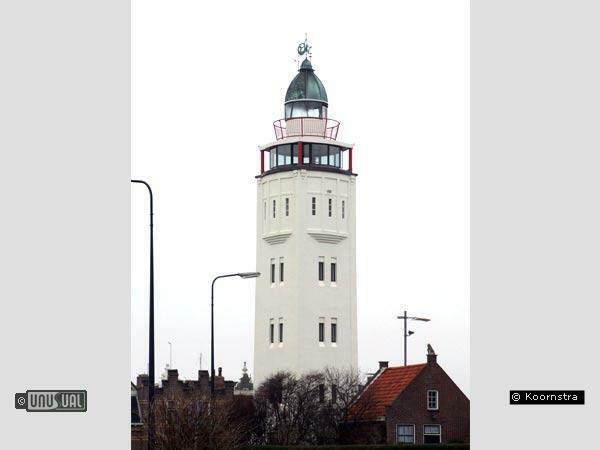 For instance, there is a museum in the Hook of Holland lighthouse, while Harlingen Lighthouse is privately owned.